LET'S FIND AN APARTMENT IN NEW YORK CITY FOR YOU! New York City Apartment Finders known as the #1 locating service of the New York, NY and surrounding areas. Do you have the most ideal type of apartment in mind to rent, but concerned about having poor credit or poor rental history? Is it stopping you from looking because you are tired of being rejected from potential landlords? Unsatisfactory credit history may include an eviction or a broken lease in New York City or even slow payments appearing on the credit report. The search process and communicating with potential landlords can be frustrating if told your poor credit report will impact any chance of getting an apartment with them. Guess what? You do not need to be discouraged because we have successfully assisted countless people across NYC with locating their dream apartment, and we can help you, too! Our locating services are completely free. 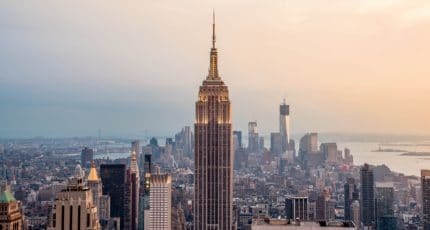 New York City is the most populous city in the State of New York as well as in the entire United States with over 8.5 million individuals residing in about 3-million housing units. The City of New York consists of five boroughs; Queens, Brooklyn, Manhattan, The Bronx, and Staten Island and each is a separate county of the State of New York. So, there are all sorts of available apartments and rental properties throughout the five boroughs. There are many NYC apartments to rent throughout the city, but the only problem is many potential landlords may not rent to someone who has credit or rental issues. This is not only stressful but time consuming process. New York City Broken Leases are experienced apartment finders who can help you locate the best apartment regardless of your circumstances. Our services are completely free, and there are not any hidden fees either! There are three different categories of rental housing types available within the New York City rental market which include; rent regulated housing, market-rate housing and subsidized housing. With rent regulated housing, lease renewals and rent adjustments are regulated by law. With market-rate housing, lease renewals and rents are matters that are negotiated between both the landlord and the tenant. With subsidized housing, rents may or may not be directly supplemented by a number of government programs while terms of occupancy are regulated by law. There are advantages and disadvantages with each of the three. New York City Broken Lease and New York City Evictions – Each greatly impact obtaining a New York City apartment. New York City Broken Lease – A broken lease is a signed lease agreement between a landlord and tenant that is broken by the tenant without the landlord’s consent. This means the leasing terms ultimately end up being abandoned. Breaking a NYC rental agreement is serious and can possibly impact your tenant rating, which may greatly affect you of obtaining your chosen apartment in the future. If you have a New York City broken lease, it can stay on record in the landlord/tenant reporting databases for as long as 7-years. New York City Evictions – An eviction is when there is a signed lease agreement between a landlord and a renter and for whatever reason the lease is ended prematurely based on actions of the tenant and the tenant is evicted. Most commonly a tenant can be evicted for not paying their rent. A tenant going through an eviction means they are being forced to vacate the apartment per a court order by a judge. An eviction in New York City is a legal process that must be taken care of legally and decided upon by a judge of the court. For your protection, it is advisable to consult with a New York City eviction attorney if an eviction notice is received from a landlord. Regardless of the situation you are dealing with, New York City Broken Leases will help you get your most desired apartment without having to deal with the headache of the process of actually getting accepted for an apartment. Our service is always FREE to you! We will save you time in finding an apartment no matter what is showing in your credit history report or rental history. Our database is loaded with independent landlords and apartment complexes throughout New York City. Based on your specific needs, we can find you plenty of places to rent place based on your needs. If you have a poor credit history or rating, an eviction or a broken lease in New York City and need a place to rent, you found the place that will help you. Your satisfaction is very important to us, and we will take the time to find you what you are looking for in your new apartment or rental property, at an affordable price. To get started, just fill out the short form, and once the form is submitted, one of our New York City Apartment Locators will get in touch with you and provide a list of the New York City apartments available that are matching your requirements! The entire process is quick! ASSIGN – An agent will be assigned and will locate the best matching apartments in New York City that best fits your requirements within your price range. RECEIVE – After your information is inputted in the database, you’ll receive a custom-made list of New York City apartments to rent including pictures, floor plans and monthly rent prices. REVIEW – The final results will be discussed between you and your agent, and then we will handle it from there. New York City Broken Leases will help you locate the best place to live no matter what regardless of your rental or credit history. Find out why countless New York City apartment renters have made us their main choice. Just fill out the form, and we will help you find your New York City apartment! Our service is free to you, and very worth the end result of you landing your next apartment!